Whose star shined brightest during Saturday’s Blue-White Game? While spring football games are nothing more than a glorified scrimmage, it is still a good opportunity for young players to make an impact. Games such as Saturday’s Blue-White Game give young players an opportunity to show their coaches they’re ready to take the next step, while also becoming more well known by fans. Now that Penn State players have had the opportunity to turn heads in the Blue-White Game, it is time to hand out some hardware. 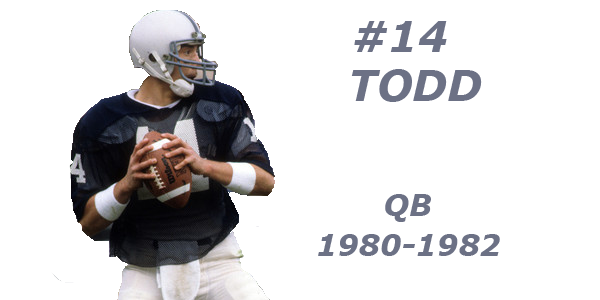 It is time to name the offensive, defensive, and special teams MVP for the Nittany Lions from their spring finale. In his first taste of Beaver Stadium action true freshman Noah Cain was impressive. The early enrollee has only been on campus for four months, but he has already forced his way into the discussion at running back. Running backs coach JaJuan Seider has already said that Cain will play as a true freshman this fall. On Saturday, fans saw why he is going to get the green light. Cain carried the ball 12 times for 45 yards, both of which were game highs, and a touchdown on Saturday afternoon. He also had a pair of receptions for 13 yards and a score. Cain showed great vision, balance, burst, and the ability to break tackles while carrying the ball. Look for Cain to be the thunder to Ricky Slade and Journey Brown ’s lightning this fall. This fall Penn State needs needs players to emerge at defensive tackle behind Robert Windsor , PJ Mustipher , and Antonio Shelton. When fully healthy, Fred Hansard is the team’s fourth defensive tackle. Ideally though, you want to roll at least five deep at defensive tackle. Redshirt sophomore Damion Barber could be this fifth defensive tackle. After receiving praise from the coaching staff for his work and growth during the offseason, Barber flashed in Saturday’s Blue-White Game. Officially, Barber finished the game with three tackles, two tackles for a loss, and a sack. If the game were treated more like a real game without quick whistles from the officials, Barber would have had at least a second sack and an additional tackle for a loss or two. Throughout the afternoon Barber was wreaking havoc and terrorizing the offensive line for Team White. He was explosive, used his strength to push offensive linemen back, and spent many plays in the backfield. While Barber still has some things to work on, he is starting to look like a legitimate option to give Penn State quality reps as a three-technique this fall. 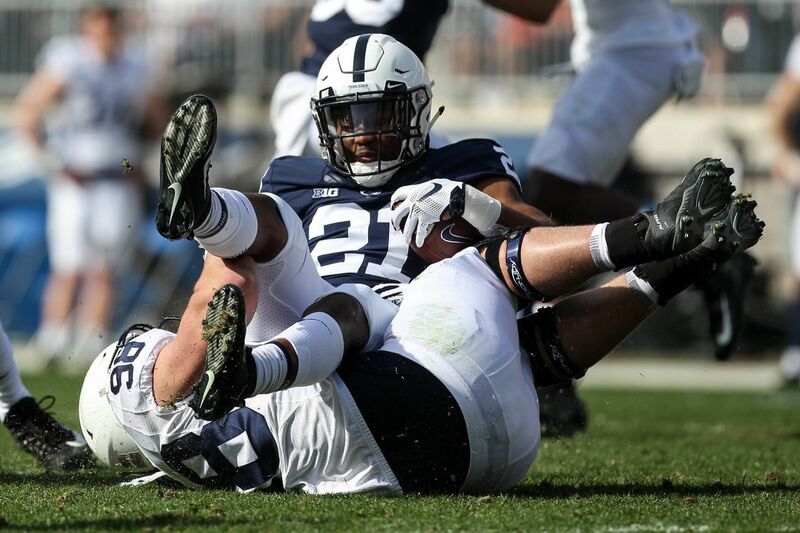 If Saturday’s performance was any indication of what’s to come from Barber this fall, that will be a huge boost for the Nittany Lions defensive line. Picking a special teams MVP in a game like this can be tricky. After all, kick offs and punts are both done on air eliminating the opportunity for plays to be made. Teams still kick the ball, though, opening the door for Jake Pinegar . The sophomore kicker was 3/3 on extra points, and connected on his lone filed goal attempt from 35 yards out. This performance comes on the heels of Pinegar spending the spring working on his kicking mechanics in an effort to kick less low line drives. His worked appeared to be paying off on Saturday and should help cut down on blocked kick issues that plagued the Nittany Lions at times in 2018.